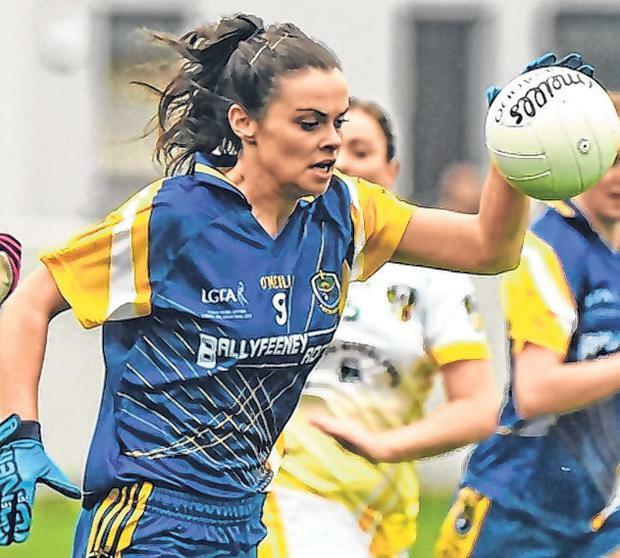 Roscommon suffered a crushing Lidl NFL Division 3 defeat to Connacht rivals Sligo at Cloonacool last Sunday - a setback in their quest for promotion. 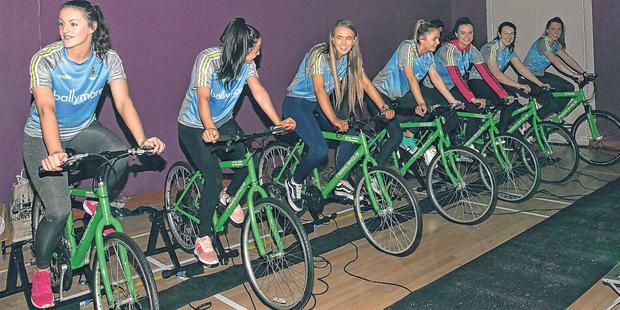 But they didn't have much time to feel sorry for themselves and the following day they were back at home in Kilbride Community Centre, where they were cycling stationary bikes. 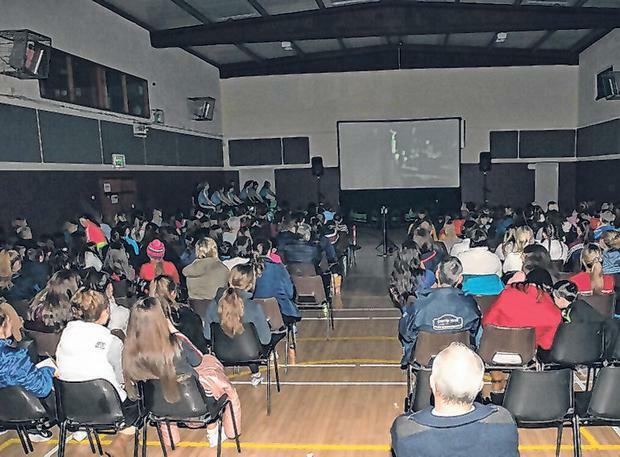 'The Greatest Showman' was the film as the Roscommon Ladies huffed and puffed, with their pedal-powered cinema fundraiser proving to be a massive hit. "Eight of us were on for about ten or 15 minutes - you had to keep pedalling the whole way through the film. That is how it generated power," explained captain and full-back Sinéad Kenny. "A huge support came and it was great to see people supporting us. A member of the county board suggested it and put it to us and it was a great idea because we had never done anything like that before. Everyone was delighted with it and we went and done it. "It is vital to do the fundraising and very important that everyone buys into it. It worked out really well. That is the fundraising done and dusted now for the year. We can focus on the football now. "We are not sure how much we raised but we are hoping, with the fundraising beforehand, all of us doing it, and on the day, to get between €8,000 and €10,000. I think we have reached that target." Kenny grew up playing for Ballintubber club St Croan's in the west of the county, and although she played soccer, badminton and basketball at the Convent of Mercy in Roscommon, she always wanted to play football for her county. "I am so proud to be captain, to captain a fantastic group of girls with such great talent and skill. Representing my club and family too. It's huge and something I am very proud of," said Kenny. "I am the only Croan's girl playing for Roscommon. They are a great support too and they get behind the girls and the team and everything. "It was brilliant lifting the Connacht title, something you would always dream of when you are growing up, could that be you. The work that we all put in as a group of players pushing each other on and encouraging each other. "To finally get over the line and win was just brilliant. Then looking down at all of the support we had, you just get so caught up with memories that will last forever. You will always have those with you. "All of my family were there, all of my relatives came to support us, my club came too. It was brilliant, even the neighbours came, we got huge support. It was a great day for myself and my family, and the Roscommon Ladies." "It's a double-header, the lads are playing Kerry and we are on before them at noon," said Kenny. "It will be great again to get out with a double-header. The crowd that comes in to support us. To get both games played on the same day at the same venue is huge. "Ladies football is recognised so well now. It is being promoted really well. The recognition it is getting is brilliant for all players, for ladies football, for underage as well. "We are still in the top four in the league at the moment. But Sunday is a must-win game for us. "We have one more game left after that. In order to stay up there and contend for the league title, it's going to be all guns blazing for us."